Hot on the heels of the inquiry into Sports Direct's working practices, the plight of 'self-employed' Hermes couriers earning below national minimum wage. As a result, government committees, unions and the CAB are pushing for an inquiry into the growing use of self-employed workers in certain sectors, particularly the transport sector. Employment status is important because it determines what employment rights and obligations apply (as well as how income is taxed). The genuine self-employed are not entitled to national minimum wage, paid holiday, sick pay etc. Companies save on national insurance and may not have to make deductions at source. However the key word here is genuine, and in many cases self-employment is not genuine but is in fact disguised employment. Employment status legal tests are well-established (mutuality of obligation, personal service and control), but difficult to apply and, from the individual's point of view, even more difficult and expensive to enforce as they have to bring claims in the Tribunal. Clarity would be welcome all round, and we are waiting for Uber drivers to have their case against self-employment heard in the Employment Tribunal at the end of this month. From a tax perspective, the government has already begun to consult about reforming 'off-payroll' working in the public sector with a view to giving IR35 (effectively disguised employment) rules more teeth by requiring public sector bodies to apply the rules to their consultants and pay any associated income tax and national insurance if they meet a basic employment status test. I am part of the working party preparing the Employment Law Association's response to this consultation. 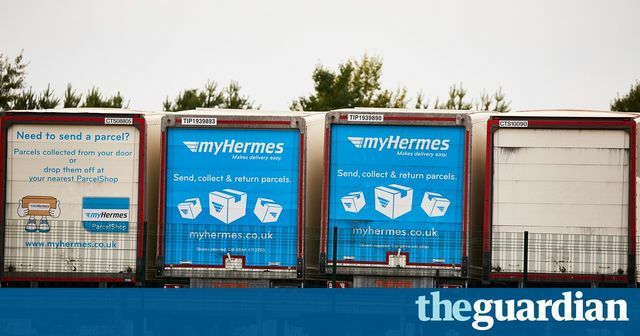 The prime minister has been urged to open an investigation into the growing use of self-employed workers after the Guardian found some couriers contracted to Hermes were struggling to earn the national living wage.